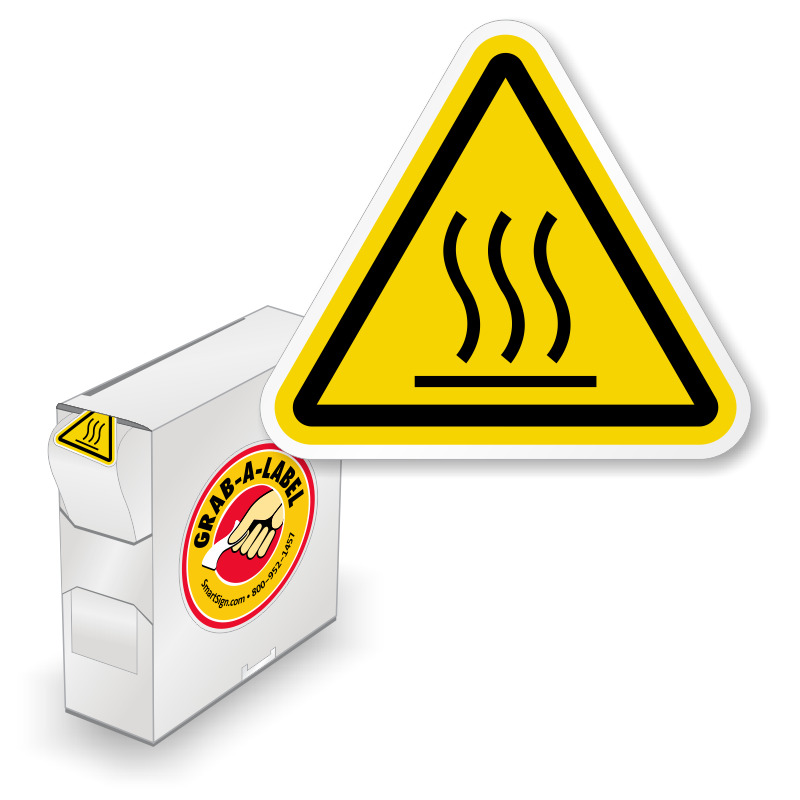 Communicate your safety message clearly with the ISO 3864-2 Warning Hazard Safety Labels. 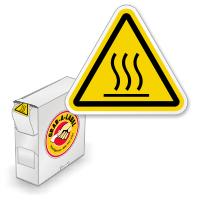 These Internationally ISO W017 Burn Hazard / Hot Surface Labels are the definitive way to post a safety message without words - as defined by ANSI Z535.4 and ISO 3864-2. 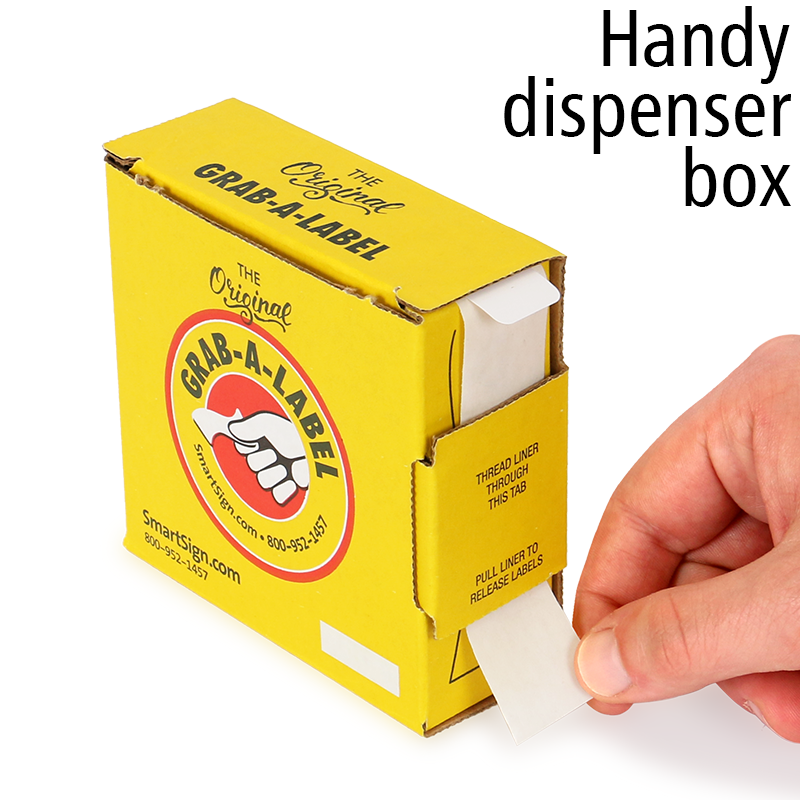 Labels are available in rolls of 250 with a convenient label dispenser that is durable and mobile. 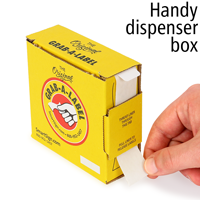 Made of polyolefin, labels are waterproof, tear resistant, grease resistant, and endure shifts or changes in temperature. The laminate protects against scuffs, acids, chemicals and oils. so cute! such little safety stickers. Surprised anyone can see them. Seems to stick well....even on the 160 degree F surface that we adhered it to. No issues and plan to continue to use for application.